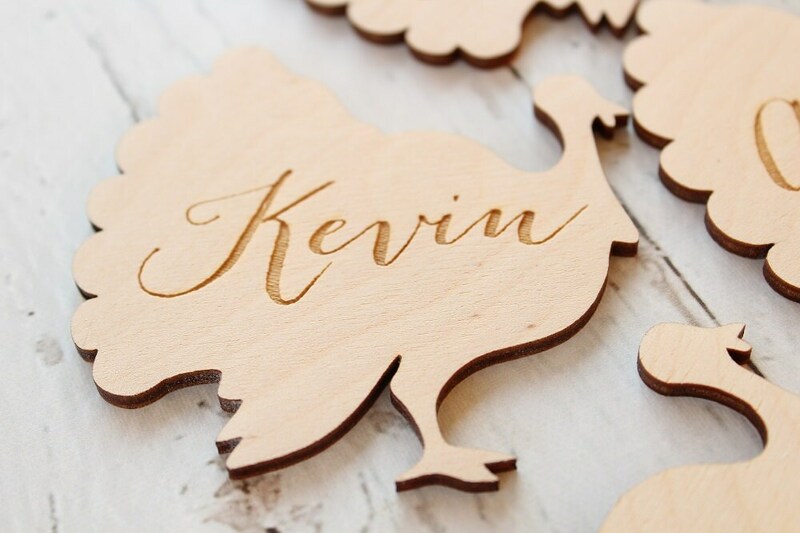 Cost per engraved Turkey cutout. 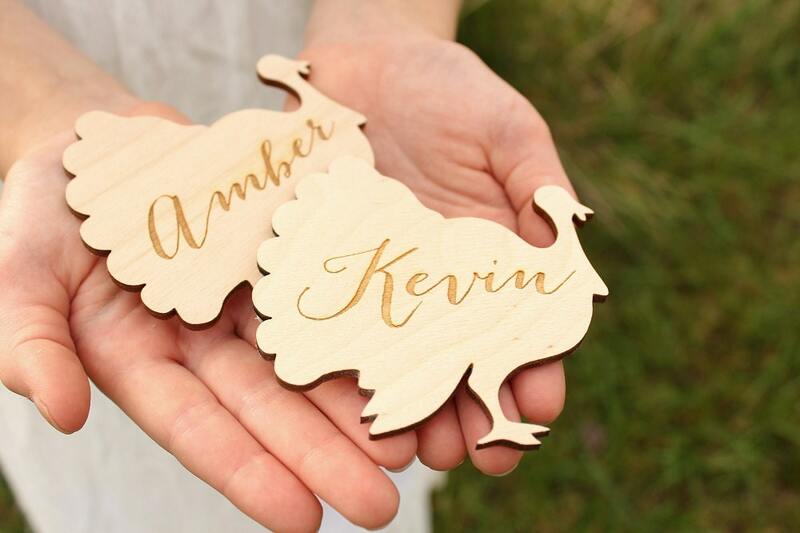 Adorable Turkey cutouts that have been laser engraved with names.! Perfect addition to your Thanksgiving table setting. Each Turkey is laser cut and engraved. ADORABLE!!! So happy with my purchases. They couldn't be cuter! Thank you! Perfect for my Thanksgiving table! Happy I can use every year! 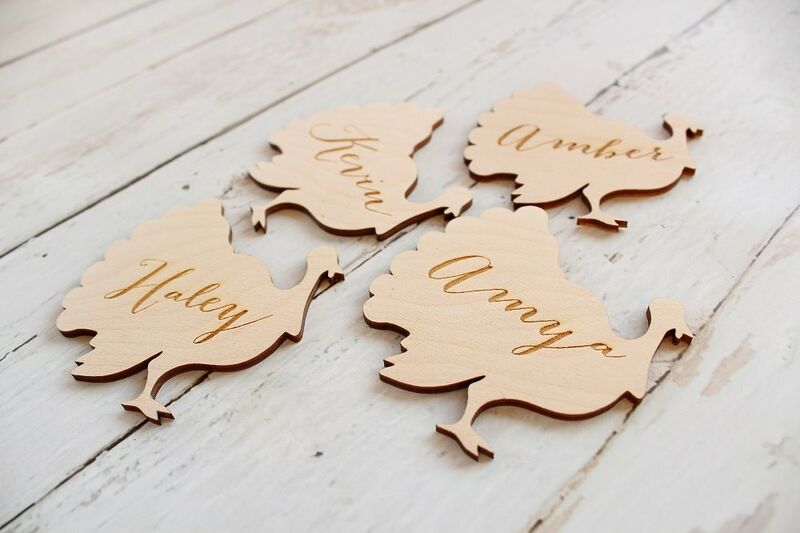 Our family Thanksgiving dinner table became even more festive with the addition of these personalized wooden turkey place cards. We love the unique, well-designed option at a reasonable cost. These will become family heirlooms and part of our Thanksgiving tradition in years to come. The fast service, quality work and packaging are all greatly appreciated. Good quality and turned out super cute on the table!